Facebook is one app, which can be found on every Smartphone. 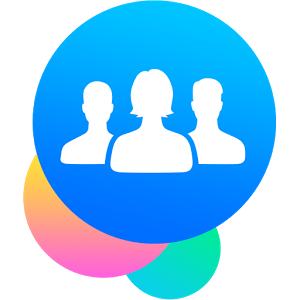 On 18 November, Facebook announced the launch of groups for iOS and Android. This group with have functionality very similar to that of the app due to all being connected to the same social media platform. Users will be able to download Android app directly from Google play store, whereas iPhone users get this app from the Apple’s App Store. Compared to the regular Facebook website accessible on the PC and on the Facebook mobile app, the group app will have lot in stored for the users, which extends more than basic functions like chatting, discussion, collaboration, and planning. Groups for iOS and Android the users to choose between different groups, they will be able to join new groups, manage their notifications, and learn about additional features and contents. According to Facebook, the main idea for building this new app came from the people who are interact more in their groups. The whole objective is to give people an app, which will provide them an easier and faster mean of interacting in their chosen groups. However, people need to remember that, Facebook is in no mood to remove the group feature out of their main app as they did with the messenger application. The advantage of this app is that, if you already have Facebook main app and messenger app on your phone, then when you trying to login to Group app, you will get a notification asking if you would like to login as the same person. The account holder of the Facebook will not have to login separately in all these apps of Facebook. In the Facebook group app, the users will get their groups aligned according to their preference and usage. This will allow them to move easily between each of these groups. Since all these apps use the same icon (Facebook), notification are received in the same form. However, the user’s can change this in their settings option. According to the recent performance report, the company claimed that as of Q3, 2014, they noticed 700 million people using the groups every month. The Company is not considering this app has any experimental launch but considering it part of their main operation on the line of messenger app. However, as this app has been developed by the same company, which produced many experimental apps, suggesting that Facebook is still not very confident about this new app. The company is releasing the app on iOS and Android platform all around the world, but they do not intend to get windows anytime soon. Although the company has not made any upgrades in the Group feature but it is still a very popular feature of the main app. For a long time people expected upgrades to come out and the rumor mills indicated the time for September. For PC users, they should soon be expecting notification about groups that you can join.